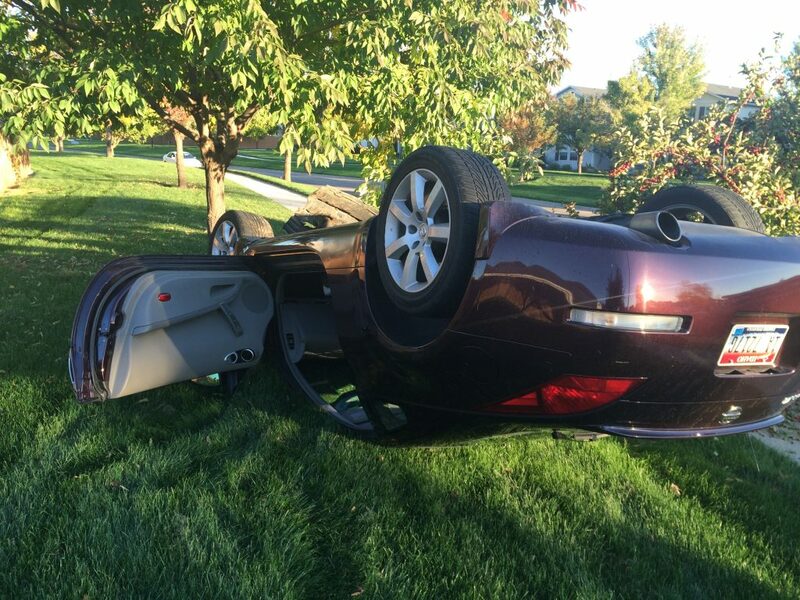 A 35-year-old Boise woman who lost control of her car and rolled it over in a southwest Ada County neighborhood Sunday is charged with her third DUI since 2008. Deputies also determined Cammy E. Thompson was driving even though her license is currently suspended in connection with her last DUI arrest in 2014. Deputies were called to the intersection of W. Brogan Drive and W. Lockwood Street just before 6:30 p.m. Sunday to check out a report of a car that crashed and landed on the roof. Deputies arrived and found Thompson by the car. She told them she was driving too fast and lost control of her car. Thompson failed field sobriety tests and registered a .245 blood alcohol content (BAC) level, which is more that three times Idaho’s legal BAC limit of .08. Deputies arrested Thompson on felony DUI charge and booked her into the Ada County Jail. The crime of felony DUI is punishable by up to 10 years in prison and the loss of all driving privileges for up to five years after release from prison or jail. Thompson will make her initial court appearance Monday afternoon.